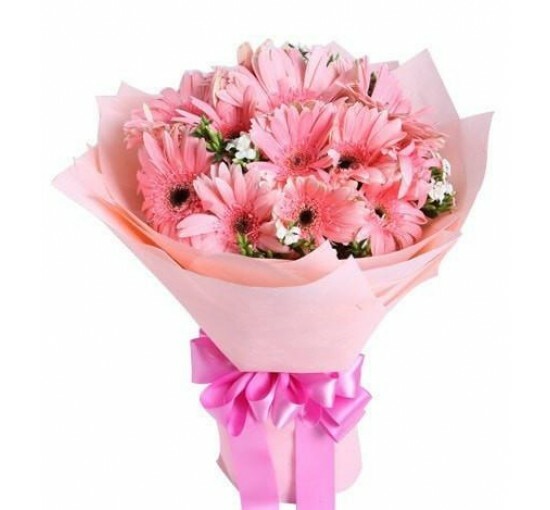 Lovely Gerbera Hand Bouquet with lavish wrapping. 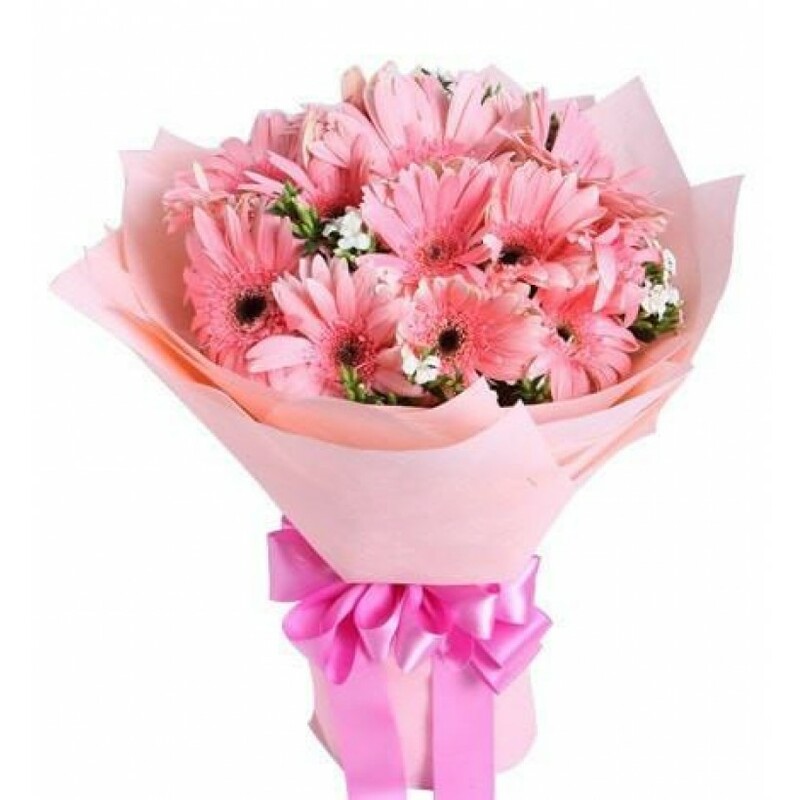 Consists of 12 fresh pink gerbera stalks. The Gerbera grows where it is sunny.